Building at the corner of Hope Street and Girard Avenue. 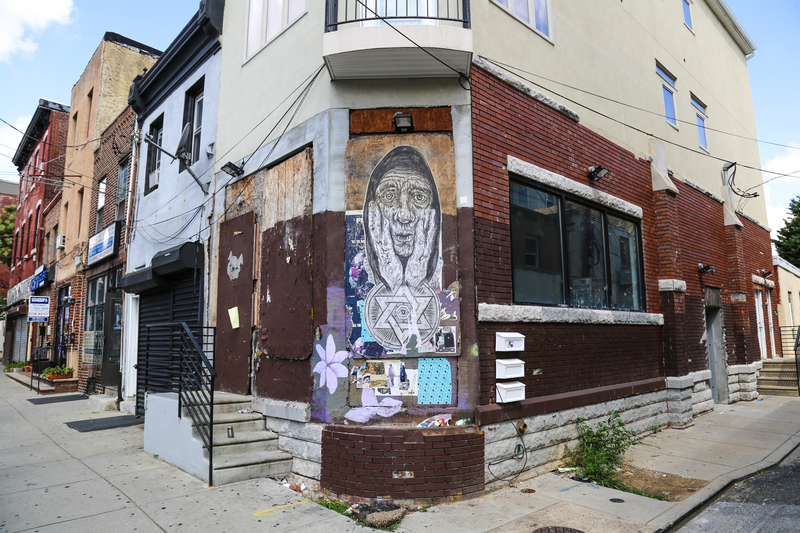 Address is 117 West Girard Avenue in Philadelphia Pennsylvania, USA. Street Art heart is by Amberella. Building facade has recently been rennovated. Steps and metal shutters to left of image match up. Google steet image during rennovation. Steps and facade match in this photo before the street art was posted on the brown peeling wood.